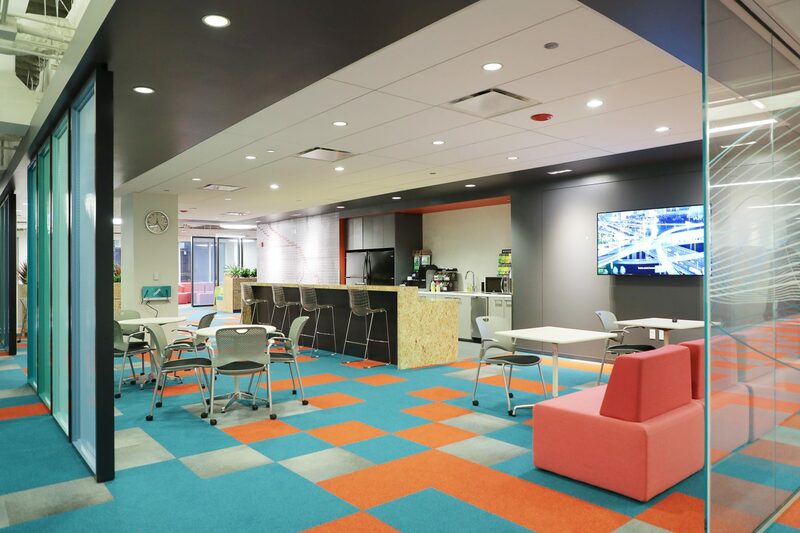 Skender recently completed interior construction of the 225,000-square-foot office space for HERE Technologies, the leading location intelligence and open location platform company, at 425 West Randolph Street. 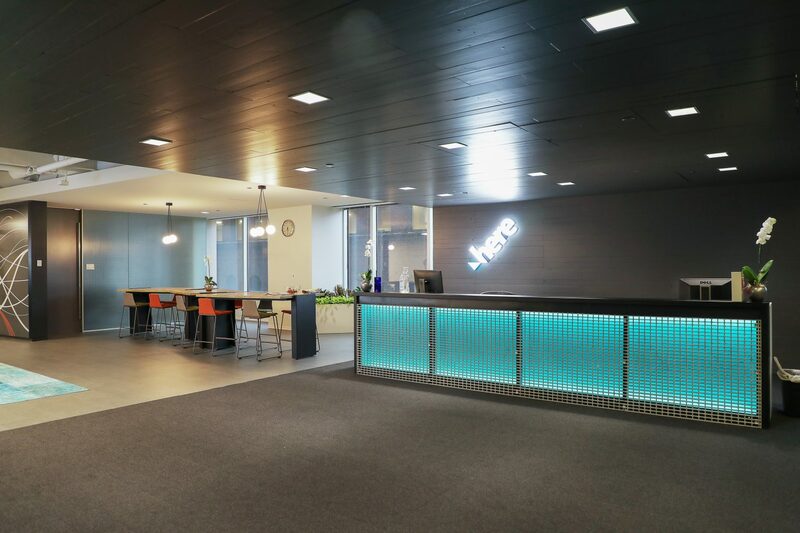 HERE Technologies recently designated the Chicago office, now totaling more than 275,000 square feet, as the company’s Americas headquarters. 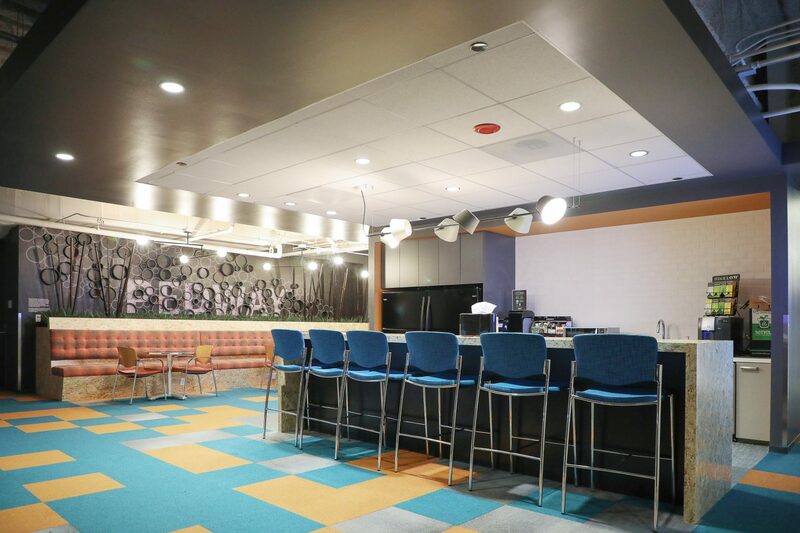 Throughout eight floors of the Boeing Building, the HERE Chicago office was transformed into a contemporary environment that reflects the company’s vision, brand and history of innovation. 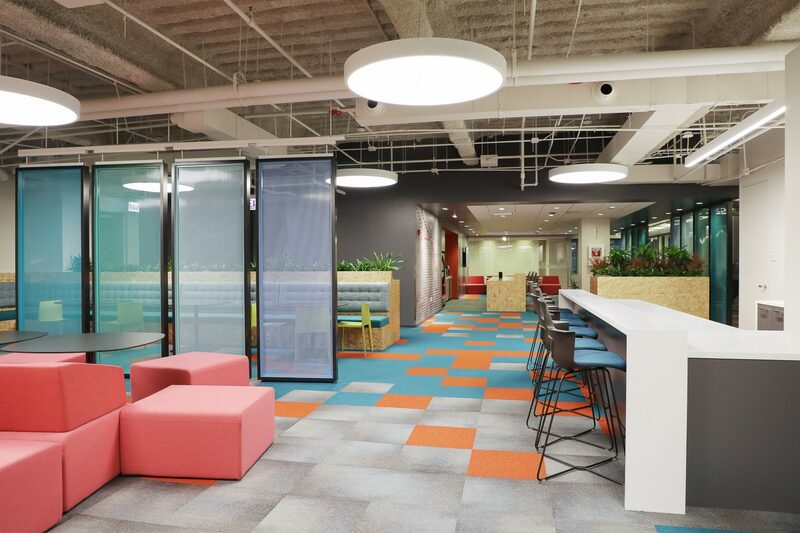 HERE Chicago, recently named one of the coolest companies in the city by Chicago Inno, contains space for more than 1,400 employees in an open-floorplan seating arrangement that facilitates better and faster collaboration. 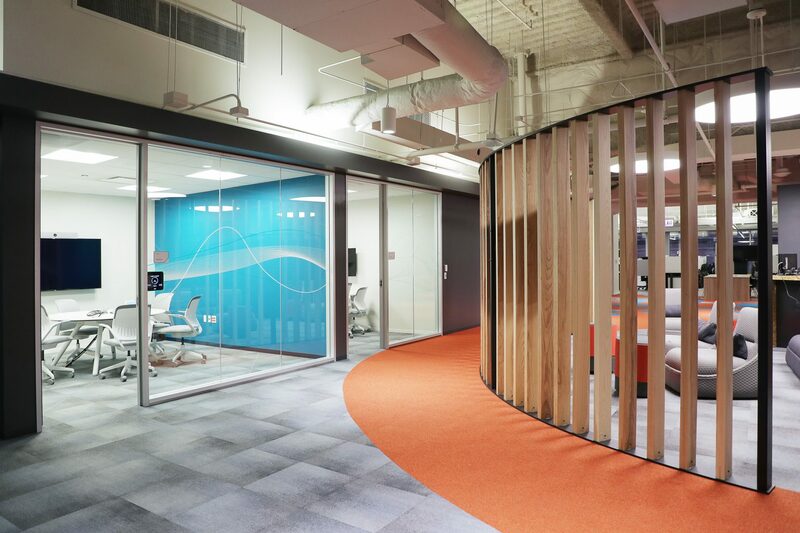 The office features a variety of meeting rooms that accommodate anywhere from two to 200 people, immersive telepresence capabilities for teamwork with peers and customers across the globe, several dedicated “wellness” and “mothers’” rooms, immersion/quiet workspaces, large and small café areas, and a game room. 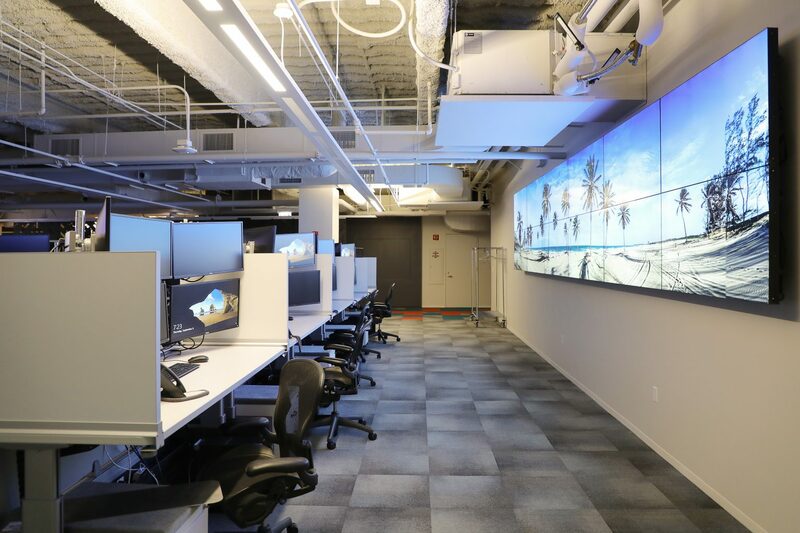 The office also includes a fully immersive Experience Center where the company’s technology is on full display. Local artists were commissioned to create several interior murals and significant enhancements were made towards green initiatives and ergonomics. Skender coordinated utility shutdowns and all construction logistics to minimize the impact on ongoing building operations. 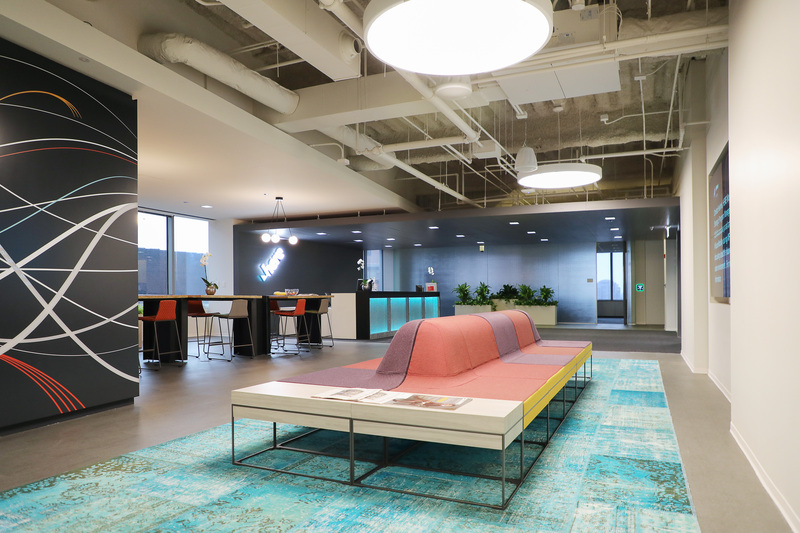 Serving as general contractor, Skender worked in collaboration with Gensler, JLL and ESD Global to complete the project.